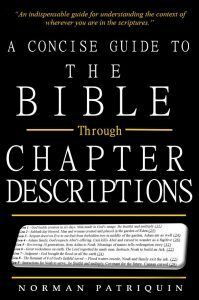 This page contains random facts and observations that tend to support the theory the Bible was divinely and perfectly numbered and organized. Any one of these evidences might clearly be happenstance (chance) but taken together they may cause you to wonder if God did really perfectly assemble his word. ITEM: Matt 4:4 and Luke 4:4 — #4 is about things of earth and living in the wilderness. It is about men, places, times, seasons, work, play, worship, wandering, and any reference things of earth. It is interesting that both Matthew 4:4 and Luke 4:4 contain instructions for living. They are essentially the same verse. 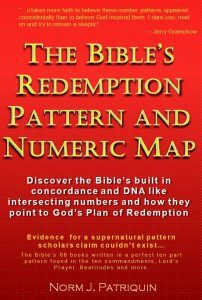 ITEM: Proverbs 6:16 has 6 and 16 in its text — Using the the technique for counting in the Hebrew bible called Gematria, the numbers 16 (1+6) adds to make the number 7. Thus the chapter and verse reference of 6:16 can be read as 6,7. #6 is a number for sin/repentance and #66 is a number for deeper sin (#666 is a number for evil/wickedness). So not only does the chapter and verse match numbers in the text, but the meaning of 6:16 also fits the themes of great sin expressed in the text. ITEM: Matthew 25:1, the 24,010th Bible verse tells of the 10 virgins that went out on the Great Day of the LORD (#24) — In the story of the ten virgins in Matthew chapter 25 Jesus warns us to be prepared and ready on the Great Day of his return. In the previous chapter 24 and verse 42 we are sternly warned to be alert for this day that will come at a time we do not suspect – Matthew 24:42 Watch therefore: for ye know not what “hour/day” your Lord doth come. (Note: The ESV and other versions translate the word “hour” to “day”). As God’s warning to take special note of this warning, I believe this verse is incredibly highlighted when The LORD made it the exact 24,000th verse of the Bible. This verse numbering alone is strong evidence the number twenty-four is related to the future Great Day of the Lord’s return. Without any way for us to verify this miracle in the Bible, we can only wonder if God did turn back time by ten steps, or in some other way gave Hezekiah the sign he desired. Some suggest the miracle might have been performed through some change in the atmosphere that would have modified how the light hit the steps, or by some modification made to the sundial. In any case, skeptics can debate if this event reflects a true miracle of God or not. But there is another miracle in 2Kings 20:11 that seems to confirm this was an actual miracle of God. This unique miracle of turning back the shadow 10 steps is unlike no other in the Bible and only occurs in this single verse. Astoundingly, this verse at 2Kings 20:11 is the 10,110th verse of the Bible. This very special verse location with the number ten at the beginning and the end of the Bible’s cross Bible verse number, would seem to be The LORD’s additional sign that this event is a miracle of God. No matter how the LORD accomplished it, the verse numbering authenticates the event as completed by God. There is no other reasonable explanation for this miracle to be found at this very unique and highly identifying verse location.